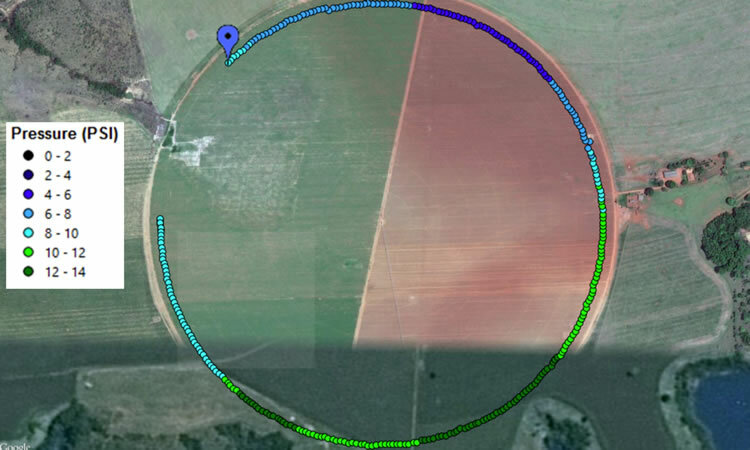 AgriExplorer Irrigation generates effective irrigated water sheet reports with GPS position detailed. This information is available online separated by field, day or sector. AgriExplorer Irrigation automatically links to weather stations to know potential evapotranspiration. AgriExplorer Irrigation is used to perform a water balance on every crop. 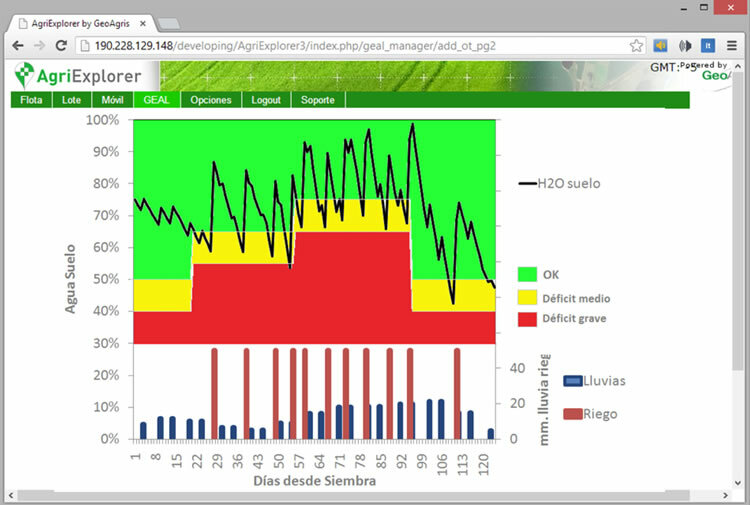 This system allows to know crop hydrological condition and to perform a ranking of water needs in a Dashboard. 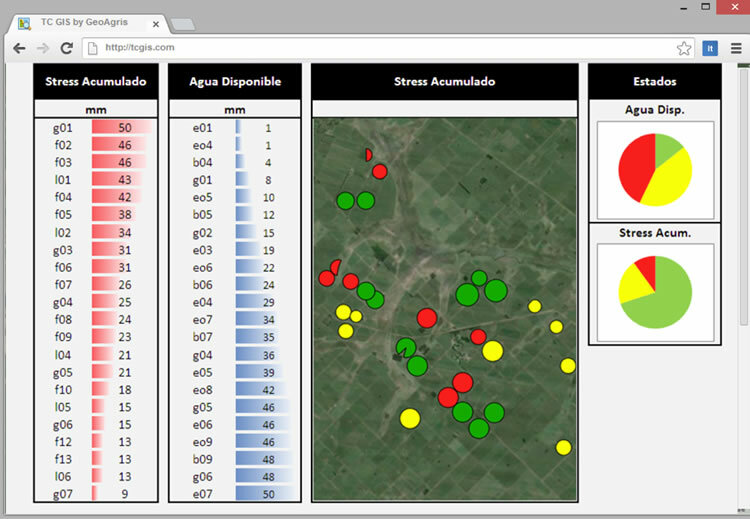 This is a very simple tool to find irrigation problems.